Islander had just turned 31 when she needed to undergo an unexpected bilateral salpingo-oopherectomy (total abdominal hysterectomy) for possible ovarian cancer. Praise God for surviving the cysts (big but benign), but she still faces some issues after her sudden surgical menopause many years ago. The doctors put her on hormone replacement therapy. However, they also advised her to increase her source of estrogen naturally. 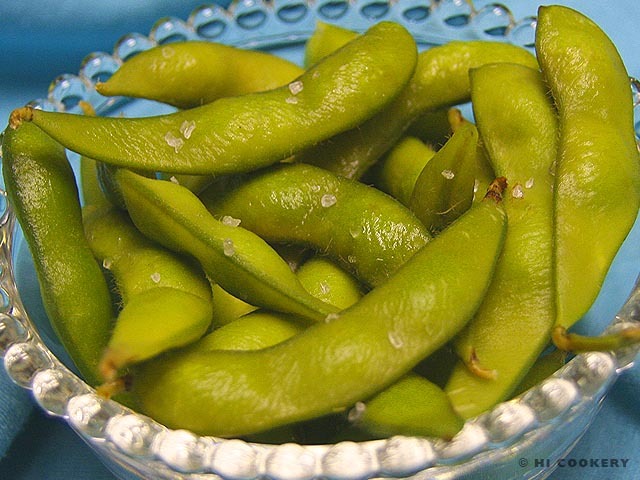 Although she does not care for eating legumes in general, she does like snacking on soybeans, particularly edamame. Since she has been raised with Asian-Pacific influences, soybeans (soy milk, shoyu, tofu, etc.) are already part of the cultural diet. Edamame is often served as an appetizer at some Asian restaurants, but now we all can cook it easily at home. 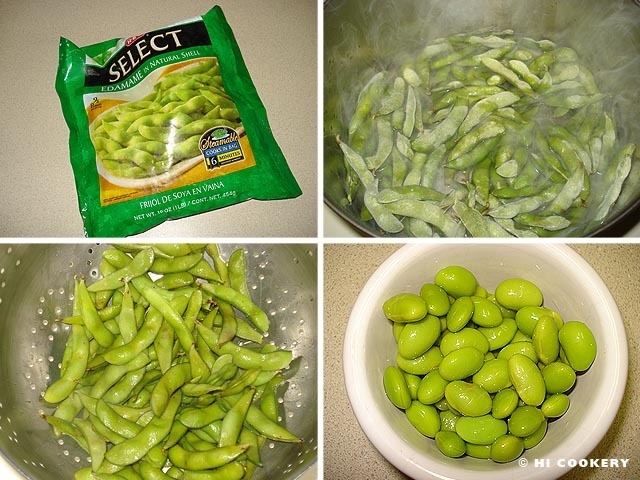 Find edamame in the frozen vegetables section at the grocery or health food store. Just boil it right out of the bag and enjoy something nutritious any day and on Eat Beans Day. In a large pot, bring water to a rolling boil. Add the edamame to the pot. Boil for 5-10 minutes. Drain. Sprinkle with salt. Serve hot or cold. Edamame and soybeans are nutritious. Learn more about the health benefits at Soybean.org, a site sponsored by the United Soybean Board. A “Soyfoods Guide” is downloadable for free! Islander recommends the woman-to-woman hysterectomy support site, HysterSisters, and associate sites, MisterHysterSisters and The Hormone Jungle. The color for ovarian cancer awareness is teal. May God bless the women affected by ovarian cancer and their families and friends who support and care for them. Please continue to pray for a cure for all cancers and contribute to any research efforts.